Do you want to win a Westmead Redevelopment keep cup? Strike a pose and take a snap to win your own keep cup. 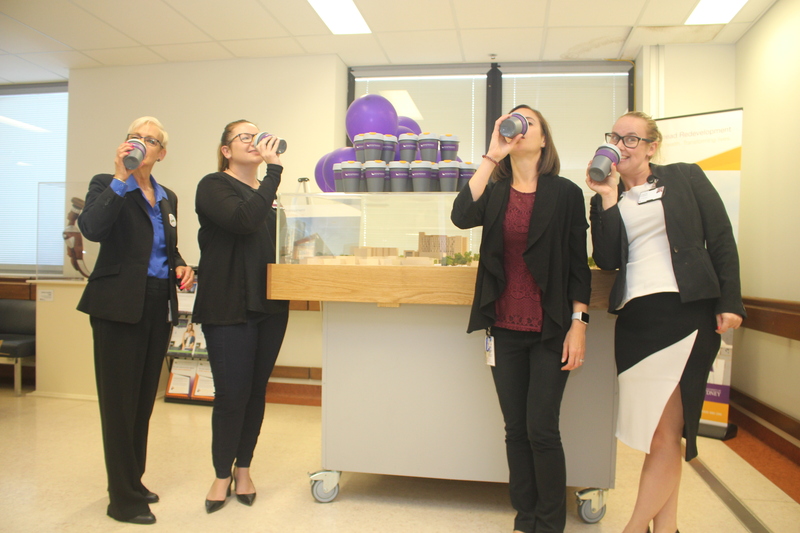 New Westmead Redevelopment keep cups have been launched to celebrate the opening of the redevelopment’s new mini information hub. The area is located next to the new Westmead model (E Block, level 2, Westmead Hospital). Westmead Redevelopment director of communications and engagement Emma Spillett said the new keep cups are an exciting addition to our merchandise collection. Upload it to the Westmead Redevelopment Facebook (facebook.com/westmeadredv) Twitter (twitter.com/westmeadredev) or Instagram page (Instagram.com/westmeadredev) … remember to check your privacy settings to make sure it can be viewed. The lucky winners will be notified via social media. The competition is on until stocks run out, so get snapping! ← Staff communication – we are listening! Westmead Hospital’s O3Hub – your sneak peek!